What do you get when you cross a dog and a clock? Lots and lots of tics! 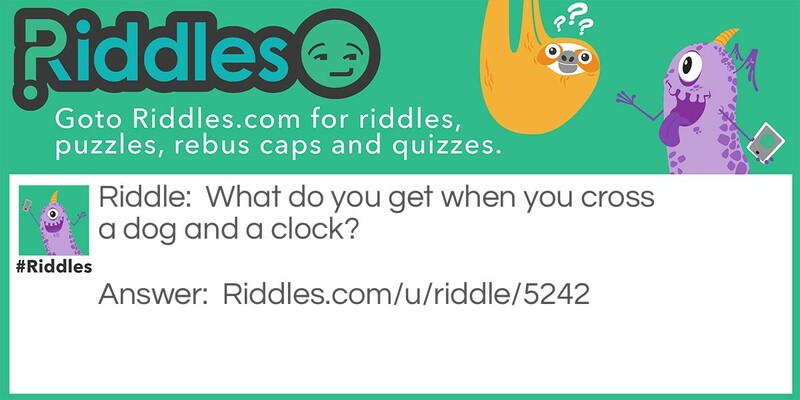 A Clock and a Dog Riddle Meme with riddle and answer page link.